David Williams - Founder of Auto Appraisal Network, Inc. Please explain you day-to-day role at Auto Appraisal Network. My day to day role is pretty hands-on. Outside of administrative tasks I handle the exceptions that hold up our process. These exceptions range from customer relations, personnel issues and escalations. How did you arrive at Auto Appraisal Network? I built Auto Appraisal Network from the ground up, based on the need for more professional, nationwide, modernized appraisal services that I was already providing as a hobby. What motivates you most to achieve business success? To be known for nationwide appraisal services that is second to none. Is your blueprint for success based, in some way, on role models? My success has been based partly on my experience in other positions throughout my career, and the experience of others for whom I have respect. My role models are my grandfather, my uncle, former bosses and even my competitors. My inspiration is to teach my sons that they control their own destiny, and that in most cases their only limitations are the ones they place upon themselves. Who's Auto Appraisal Network (corporate profile)? We are a nationwide network of certified appraisers, that are part of a franchise system developed to provide car appraisals services to our clients quickly and professionally, with an attention to details that exceeds our clients’ expectations. 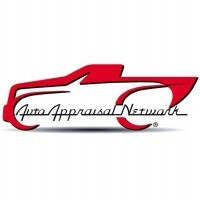 What makes Auto Appraisal Network different? Each of our appraisers brings their own experience and local market relationships to our network, their own experience and local market relationships; collectively the network is larger than the sum of its individuals. We provide our clients with specialty insurance appraisals, auto insurance franchise for custom, restored, rare and exotic vehicles, and for late model vehicles. Furthermore, we help our clients with prior to loss insurance claims, as well as loss of value due to repaired accident damage. We support major markets throughout the United States. Who are Auto Appraisal Network' customers? Our customers are automobile enthusiast, collectors, brokers, insurance companies and folks who have been involve in an accident. How important is your website to generate sales leads? Our website sales leads are very important, a significant portion of new clients find us through our website and contact us by web inquiry, email or phone number found on our website.